Few of us are educated in the horrors of the Indian Ocean African slave trade. There was almost no European involvement. 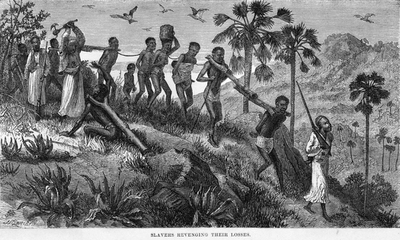 Muslim raiders moved further & further inland to capture slaves. Countless died before arriving on the eastern coast. A view of East Africa some may find disagreeable/disconcerting. Fundamental thesis region's troubles traceable to Indian Ocean slave trade problemmatic. But worth a read. A fascinating historical explanation of the Kenya/Somali area and partial motivations for al Shabaab terrorist attacks in Kenya.